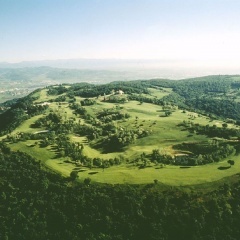 TRAINING IN THE GOLF CLUB COLLI BERICI. Tomorrow (August 20) at 3 pm in Golf Club Colli Berici in Brendola a training test is arranged for the National teams. Official model event is on Sunday afternoon in Castegnero. Also tomorrow, 4.15 pm, a live interview with the event director Gabriele Viale will be broadcasted on Rai Radio 1 (national channel). MONTECCHIO READY FOR THE EVENT. The stele of the World Mountain Bike Orienteering Championships will be uncovered on Sunday at 11.30 in piazza Roma, in front of Montecchio Maggiore City Hall. After the welcome from the mayor Milena Cecchetto, the word will go to Gabriele Viale, event director, and Mauro Gazzerro, President of Veneto Orienteering Association. Local authorities will greet the representatives of the 30 delegations that will be competing for the world titles in the Vicenza hills. Each team will receive a papyrus and a book about Montecchio Maggiore. BANCA POPOLARE DI VERONA SUPPORTS MTBO 2011. The ninth edition of the WMTBOC involves athletes coming from all over the world and therefore Banca Popolare di Verona, traditionally close to sports, decided to support as a sponsor this exciting event. The Verona bank enhanced its connection with biking, being already Official Sponsor of the UCI Road World Championships in 2004. DANIELE RAGO, PRESIDENT OF SPHERA. Daniele Rago is the president of MTBO 2011 Riondo organizing committee and Sphera sport association. Rago, a graduate in Motor Sciences, is into sports and event planning since 2005. He will be responsible for preparations of all the WMTBOC stages.